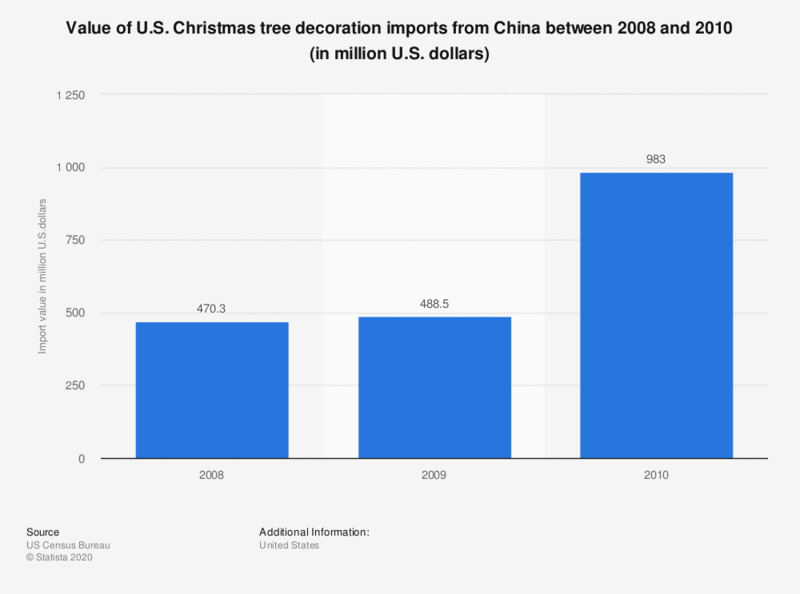 This statistic shows the value of U.S. imports of Christmas tree ornaments from China from 2008 to 2010. In 2008, the value of U.S. imports of Christmas tree ornaments from China stood at 470.3 million U.S. dollars. The value of U.S. imports of Christmas tree ornaments from China refers to the period between January and September. The value of U.S. imports refers to the period between January and September.